Garden State Pain Control always appreciates feedback from our valued patients. To date, we’re thrilled to have collected 28 reviews with an average rating of 5 out of 5 stars. 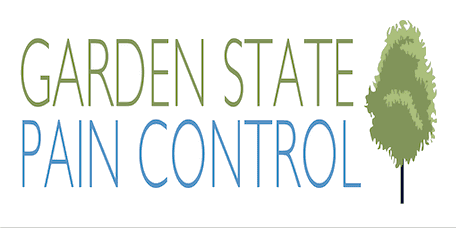 Please read what others are saying about Garden State Pain Control below, and as always, we would love to collect your feedback. Dr. Duggar was very informative and compassionate. The staff was friendly and helpful. Dr. Levy is an impressively caring physician who is extremely attentive to me and my overall health situation, as well as my input regarding the different aspects of my complicated pain. She has patience and reassuring manner. I had confidence that she would help me because of her systematic, step-wise approach to eliminating each of the contributing components of my pain. I greatly appreciate her willingness to collaborate with other professionals within and outside the practice. I am off pain meds thanks to Dr. Levy and her treatments. I have recommended her to others. The staff is friendly, helpful and kind – just what those in pain need as an introduction to the office. Easy to get an appointment – wait times are short. Dr. Dang made me feel welcomed and valued. He was concerned with my pain issues and was eager to show me how he was going to help me. I just had my first visit with Dr. Patel at Garden State Pain Control....I was so impressed with all the information I received as Dr. Patel explained the sources of my pain and the many options available for treatment.....everyone I met was warm and welcoming! From the moment I walked in I felt welcomed. Everyone from the staff at the front desk, the support staff in the back and physicians were friendly and helpful. Definitely would recommend this office to anyone in pain. Dr. Dev Singha really listened to me and didn't rush. Two thumbs up!! Everyone from the receptionists to the medical assistants and the Drs are friendly and really make you feel comfortable!!!! I've had intense shoulder pain from years of wrestling and sleeping was becoming very difficult. Dr Saurabh Dang injected my shoulder and the relief has been incredible. Talented and caring group of doctors that I highly recommend. Doctor cared about me and the pain I was in. He is helping to try and rectify the surgery that may have been done improperly. excellent medical staff all around worth the 5 star all the way down to the receptionist. Very helpful and very good Doctor ! First off the front desk staff is very friendly so it makes the waiting experience a lot nicer even though there's not much of a wait at all. They get you in pretty quick! Now for my doc. I can't say enough good things about Dr. Levy. I have had lower back issues for a long time. I've gone through a lot of doctors until I came to Dr. Levy. She really helped a lot. Unlike a lot of the other doctors I've had she cares about how her patients are doing. I always get follow up calls after any procedure I have with her and follow up visits are shortly after. I came to trust her so much I even sent my mother to her. (Now that's trust!!) If you're having pain issues I highly suggest you go see Dr. Levy. You wont be sorry! Each and every staff member is welcoming, knowledgeable and shows concern for their patients. Dr. Levy takes the time to listen to me and all of my pain complaints, as well as explain in detail a working game plan for how she can help me. I have been a patient for almost a year and have been treated for neck, back and ankle pain. She has been comprehensive in my plan and innovative in my treatments. She is not afraid to try new techniques but still is very conservative in her approach. I commend her and every member of the staff, shout out to Jordan and Wendy at the Jersey City office. I was very thankful for the ability to make an appointment in a remarkable amount of time and to be seen in the office in a timely manner was refreshing. Dr Levy was very caring and willing to listen to all of my concerns when making any decisions about my treatment. All of the staff were courteous and thoughtful. The facility is also very clean! Thank you for getting me on the right path for the right care. I've seen most of the doctors in the practice, they are all awesome. They helped me get off all of the heavy drugs another doctor had prescribed me and we are currently in the process of doing a spinal cord stimulator. De. Patel had to cancel the bigger if the two procedures due to an allergic reaction I had, and was so compassionate and empathetic while still looking out for my best and good results. I'm finally getting my life back. THANK YOU! Dr. Dipan Patel is an outstanding Pain Medicine Physician. He does not appear to believe in "one size fits all" approaches to treating pain, as do some doctors Ive encountered. I truly appreciate his intelligence, and willingness to approach pain management in multiple ways. I am grateful that he takes the time to have dialogue with his patients, and his listening ability. We all have our own unique history, and Dr. Patel has truly heard me when I explained the unusual aspects of my conditions. He has taken the gestalt of my case into consideration and transitioned my treatment, making my over-all health picture much brighter. I am grateful for the knowledge and healing he has shared with me, and highly recommend him--as well as the entire practice at Garden State Pain Control.